The 21-year-old Kagura Shino plays the role of a ninja in the ninja village’s Ninja Show. 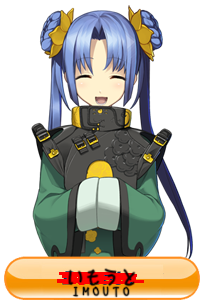 In her spare time she engrosses herself in Sengoku Online, a game based on the Warring States period of Japan, and is quite the historical play otaku. One day, the two worlds collide and Shino finds herself transported into the world of Falyias where she is forced into the role of a pressure valve for the mana exchange between the two worlds. As a form of apology, the world’s caretaker allows her to inherit all the powers of the character she played in Sengoku Online. With power that even the Demon King couldn’t scoff at, Shino begins to live her life in another world. I think you need to start translating more frequently…. What? It asked what I think! Is there any chance of some more chapters? Ara has some chapters translated but they’re waiting on TLC because our TLC (Steel) is kinda busy atm. I would be very grateful for new chapters of this, it seems quite interesting. Also finally a series with a legitimate reason for an protagonist with abilities from a video game- The gods NEED her to survive, and that’s something they know she can use, it makes sense. I’m afraid to ask, but this is’nt dropped is it..? I will seriously pay $120 bucks for about 5-10 chapters. Hit me up, I need to know what happens, man. The ending is pretty sad, I haven’t check the sequel of this series yet though..
Where did you find the raws? Hello, anyone still looking at this page/ series? !